“Love, Tragedy, And Loss” from Christian Faith Publishing author Linda Cox recounts a lifetime of experiences. Her story is a story of hardship and the love it helped bring into her life. “Love, Tragedy, And Loss”: the story of a woman who has endured a lifetime of hardship and joy. “Love, Tragedy, And Loss” is the creation of published author, Linda Cox. Linda is a Christian. She is a sixty-seven-year-old widow. She loves feeding and watching wild birds. She loves to hear them sing and tweet to one another. She loves the beautiful flowers in her garden. She loves painting flowers with watercolors on paper. Linda just loves living and doing what she can while she can. She also really loves to sing Patsy Cline songs. Published by Christian Faith Publishing, Linda Cox’s new book, “Love, Tragedy, And Loss” is about where author Linda Cox was born and where her dad was stationed. It is about her mother, who worked in the tobacco fields, and what she went through after Linda was born. It is about Linda’s life with her grandparents, who were sharecroppers. It is about a dog that hurt her. It is about the dresses she wore and the brooms they used to make. It is about her mom and dad getting a divorce. It is about her step-father and how she was treated by him. It is about what happened to her at the age of eight and how hard it was to deal with life after that. In “Love, Tragedy, And Loss,” Linda Cox explains what it was like to take care of her brother and three sisters at the age of ten. She tells the story of the man who came into her life when she was eighteen years old and the life they shared. Throughout their marriage they have experienced war, the beauty of the world, the loss of loved ones, the struggle of hard work, and the restaurant they bought in retirement. She shows what it was like to watch her husband endure pain for thirteen years, what it was like to watch him die, and all that she experienced after. View a synopsis of “Love, Tragedy, And Loss” on YouTube. Consumers can purchase“Love, Tragedy, And Loss” at traditional brick & mortar bookstores, or online at Amazon.com, Apple iTunes store, or Barnes and Noble. 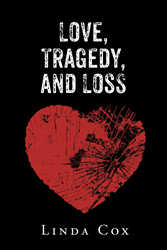 For additional information or inquiries about “Love, Tragedy, And Loss”, contact the Christian Faith Publishing media department at 866-554-0919.